When we launched Cx5, and then Cx5s, we created sculpting materials with properties that no other material on the market has ever had. Sculptable, machinable, able to hold the finest detail at the smallest sizes, even able to be painted onto surfaces, Cx5 has been a revolution in the world of practical sculpting as it streamlines the iterative process of sculpting by removing expensive and time-consuming intermediate steps. Now we're about to bring that revolution to 3D printing. We've taken the best qualities of Cx5 and created the world's first printable sculpting material. With an FDM printer you can now print straight into Cx5 that can be tooled, smoothed, and resculpted just like the Cx5 you're used to. This removes a number of painstaking, costly and often toxic cleanup steps that currently need to happen to get regular PLA or ABS prints to a smooth, finished state. On New Years 2016 we posted a video with a promise in it... that this year we'd bring you filament you can sculpt. We're excited to be debuting it at Monsterpalooza today, April 22nd, in Pasadena, California. We've gotten a lot of amazing reactions to Cx5 Sculptable Filament so far, and it will be amazing to see what everyone thinks of it at Monsterpalooza. We'll be sending out Kickstarter Cx5 Sculptable Filament announcements here! Thank you for signing up! Be sure to check out www.sculptyourprint.com for more info coming about Cx5 Sculptable Filament. Adam Beane Industries is offering a workshop this March that will teach sculptors Adam's unique, intuitive approach to portraiture. Taught by Adam Beane, with special guest critique by Mike Hill, this workshop will revolutionize how you approach portraiture. Classes will be held every Saturday for four weeks, and sculptors will work alongside Adam, sculpting a 1/3 scale portrait from from a live model, with lectures, demos, and individual instruction from Adam for the entirety of the workshop. All tools and materials, including Cx5s and a Kerr Ultra Waxer 2, will be provided for the participants a week prior to the start of the class, so participants can familiarize themselves with the working properties of Cx5s before beginning the intensive workshop. Held at the spacious Vanaheim Studios in Burbank, California, this workshop is the first to be offered from Adam Beane Industries in the LA area, and will be limited enrollment to ensure individual attention for each participant. The purpose of this workshop is to introduce sculptors to Adam’s methodology in a profoundly versatile material, and for participants to use these new techniques to produce portraits that can either be taken to complete finish at home, or left at the level of finish that the participant achieves during the workshop. Attendees are encouraged to work on their portraits over the weeks between classes, using the provided photo reference of the live model. This workshop will be a very intensive look into Adam's methodologies on sculpting portraits, and is sure to improve any sculptor's approach to capturing a likeness, at any scale. 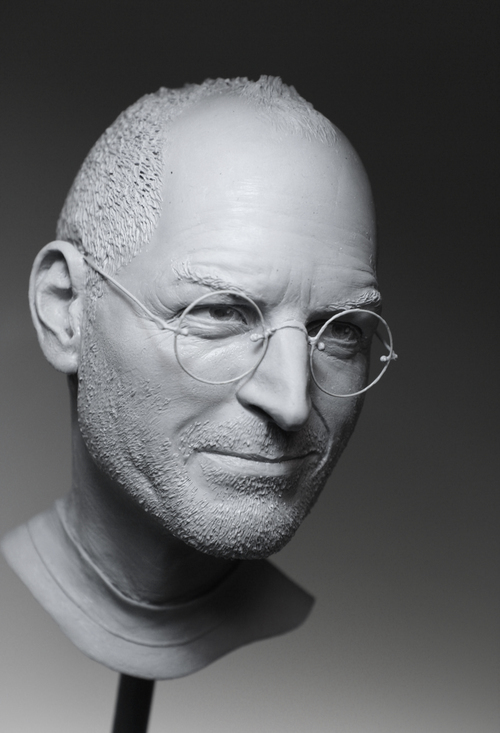 Join one of the worlds foremost portrait sculptors for this four day workshop and receive instruction and constructive critique at the highest level. Mike HIll is a world-renowned hyperrealist sculptor and portraiture expert who brought life-size silicone sculptures into the public eye as an art form. He will be offering feedback and helpful critique on participants portraits towards the end of the workshop. As we turn over a new leaf this year we wanted to look back at 2015. We are officially three years old, now, and have come a long way! Thank you for being with us as we've grown, and we hope to have you with us for many more years to come. We began the new year in our new location - Los Angeles! Our company has had strong ties to the sculpting community in Los Angeles for a number of years, and we're happy to say we're now operating right out of Downtown LA. Monsterpalooza 2015 was amazing, as always! We said goodbye to the Burbank Convention Center this year, in anticipation of Monsterpalooza 2016 moving to the much larger Pasadena Convention Center. Adam got a chance to help out Frank Ippolito on an amazing Rancor suit for Adam Savage's amazing Comic Con after party. The Stan Winston School of Character arts released our second tutorial video with them; Fantasy Maquette Sculpting in Cx5s. We got a chance to meet the amazing Patrick Tatopoulos and McKenzie Westmore at our first ever Son of Monsterpalooza. We released Figure Blanks, poseable rough sculptures cast in solid Cx5s! We are looking forward to what 2016 holds, and we hope the new year brings you many hours of sculpting! We are happy to announce that Figure Blanks are for sale on the Adam Beane Industries Store! These sculptable roughs are unlike any anatomy reference figure you've seen, because they're cast in solid Cx5s and are completely repositionable, and completely sculptable. We envisioned this product as a unique way to start a sculpture, with all of the correct anatomy and proportions in place. Adam Beane hand sculpted each original figure to be anatomically correct, with a hot-sculpted finish. All of the landmarks and masses are there for you to transform a Figure Blank into a complex character. Because Cx5s is modelable like clay when warm, all it takes to reposition a Figure Blank is submerging it in warm water (125°F) for five minutes. The warmth of the water will warm the figure thoroughly, and you will be able to reposition it as though you had just sculpted it from scratch. Each Figure Blank comes with a 1/4 pound of Cx5s so that you can build additional musculature, clothing, and other sculptural elements on your character. Let a Figure Blank be the beginning of your next sculpture.